One of the easiest orgonite experiments that you can do is to look at how orgonite affects the germination of seeds. There are quite a few orgonite seed experiments on the net, and I decided to gather the ones I could find in this blog post. Water was poured into three glasses. 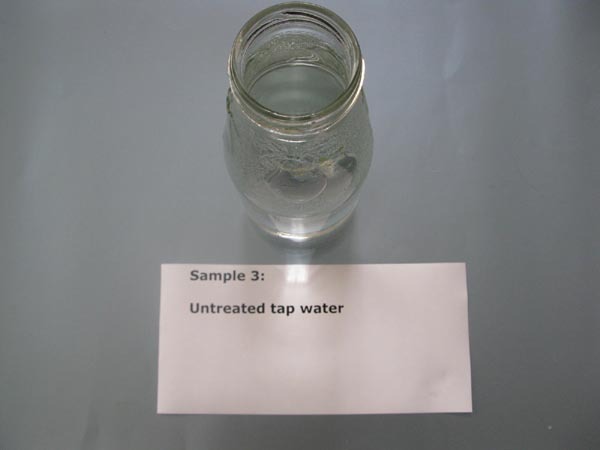 Sample 3 – Untreated water, a control. 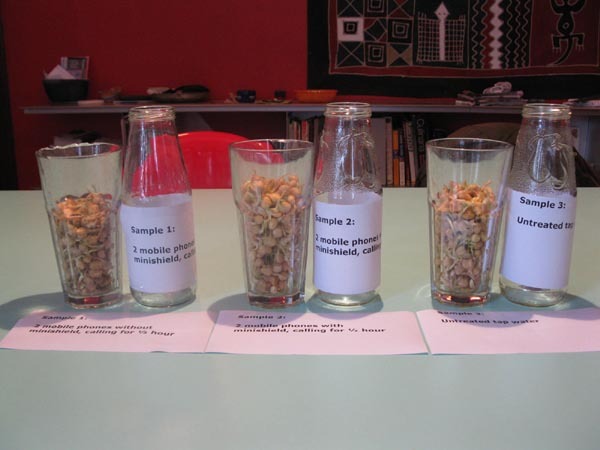 Next, an equal measure of seeds was measured for each water sample. 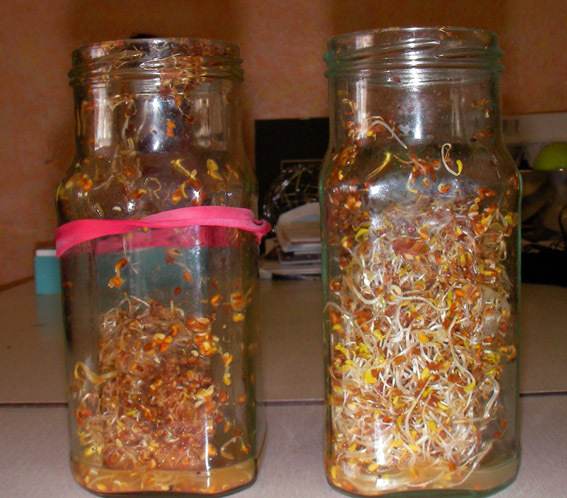 The seeds were left to germinate overnight. 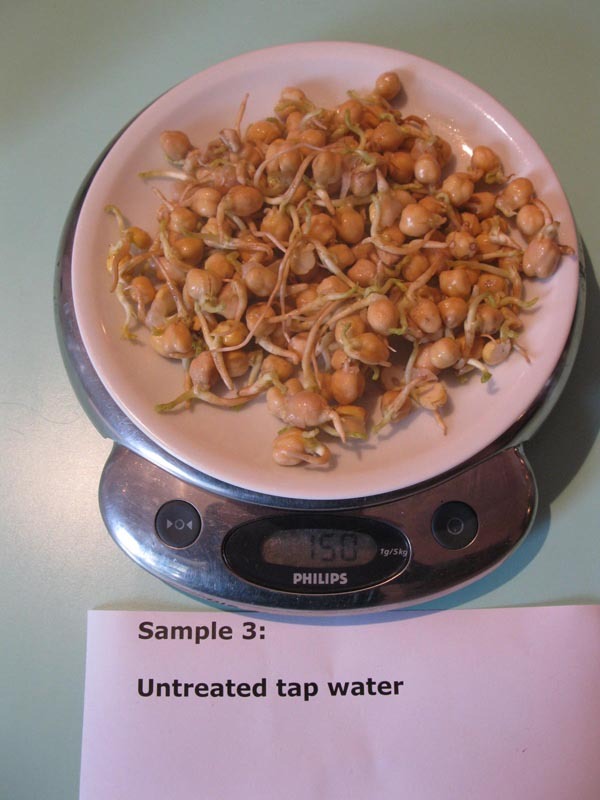 After this, the three seed samples were rinsed with their respective water regularly. 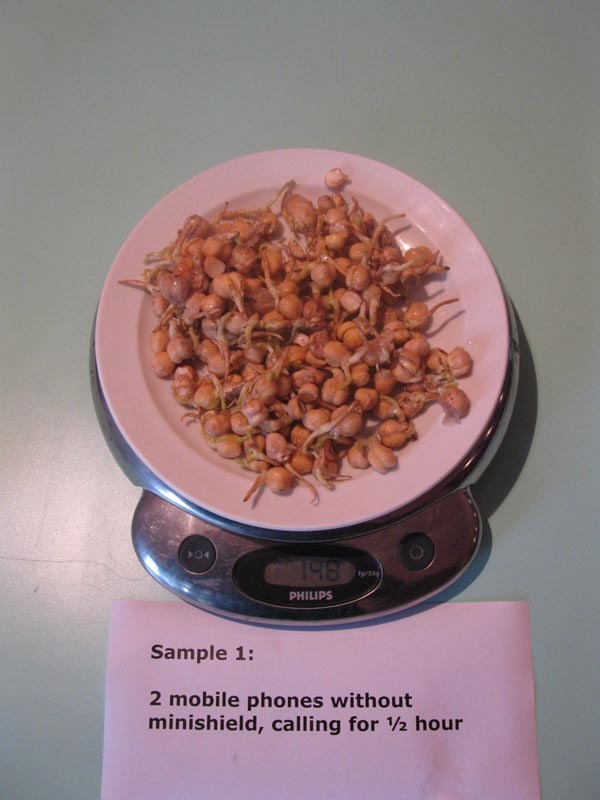 Sample 2 – 165 grams. The sprouts look very healthy. Samle 3 – 150 grams. 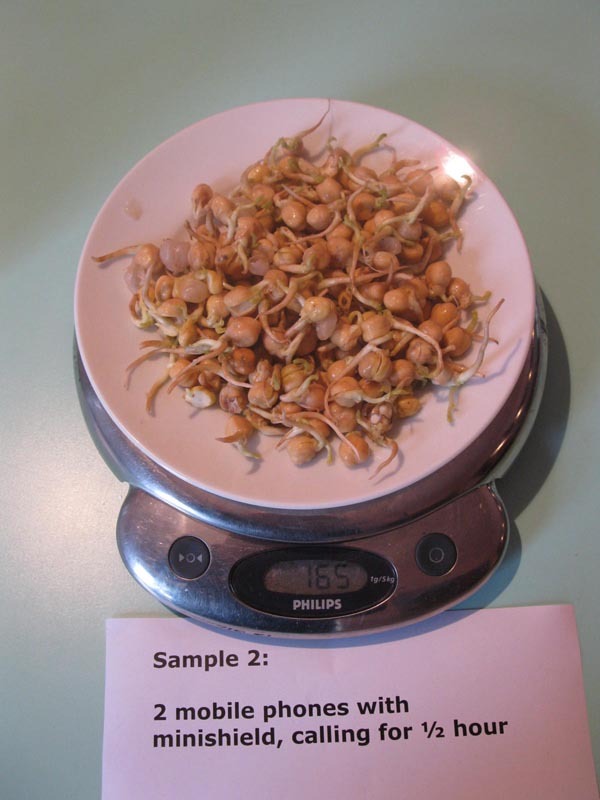 Healthy sprouts, but not as high as the ones treated with orgonite. 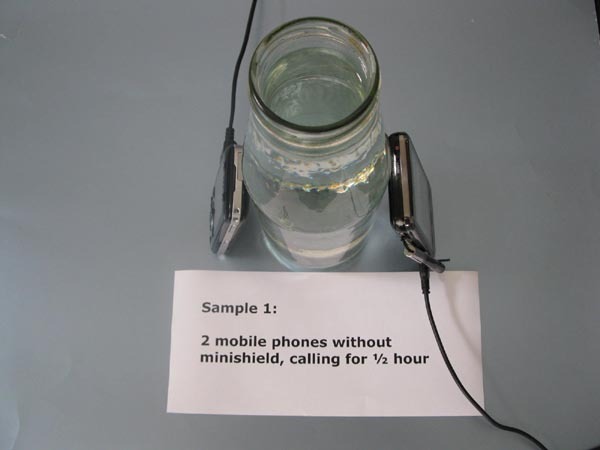 Other experiments echo the same results. The next two pictures are from Whale.to. 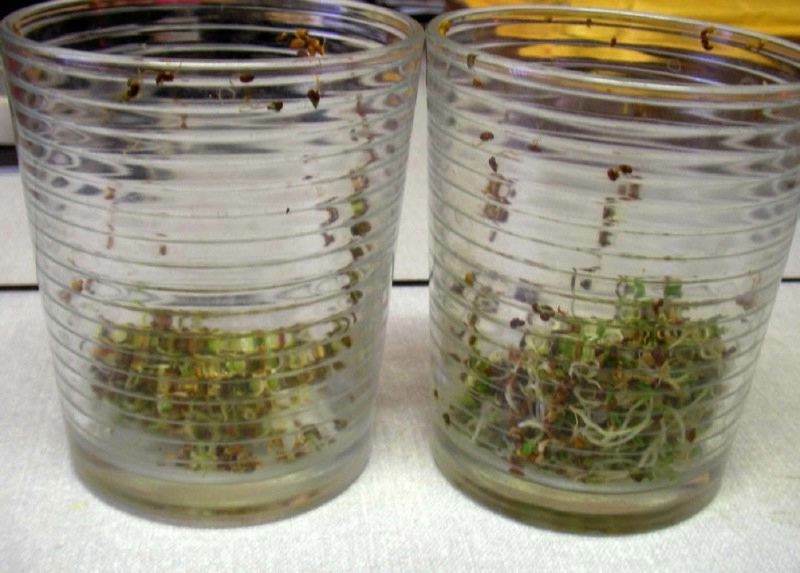 The seeds on the right-hand side had a piece of orgonite directly underneath it, while the ones on the left had nothing. And here’s an experiment from Quebec Orgone. 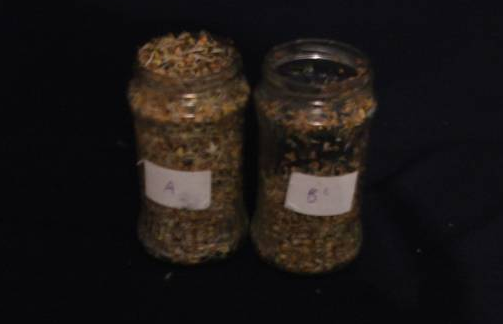 Two jars with the exact same weight of seeds and water, one of them (sample A) was exposed to a large orgonite (HHG), while sample B was kept at least 15 feet away from the orgonite, but under the same conditions as sample A. A few more readings were taken, which you can see in the link posted to Quebec Orgone’s website. I’ve only included two of them here, since the results were consistent – the seeds exposed to orgonite weighed more and had better growth. At the end of the experiment, one last reading was taken. 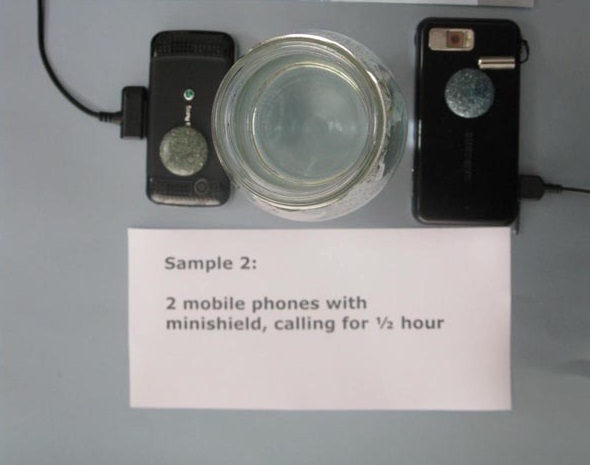 Sample A weighed 79 grams, while sample b weighed only 57. A striking difference! I received my package today. Wow! It arrived in great time. Especially because it was from UK to Canada. I was impressed. The packaging held everything together safely too. I am excited to have this experience. I will keep you posted as to how I am doing.. Thank you and blessing to you. Great to hear, Ingrid 😀 Hope you enjoy your orgonite experience!